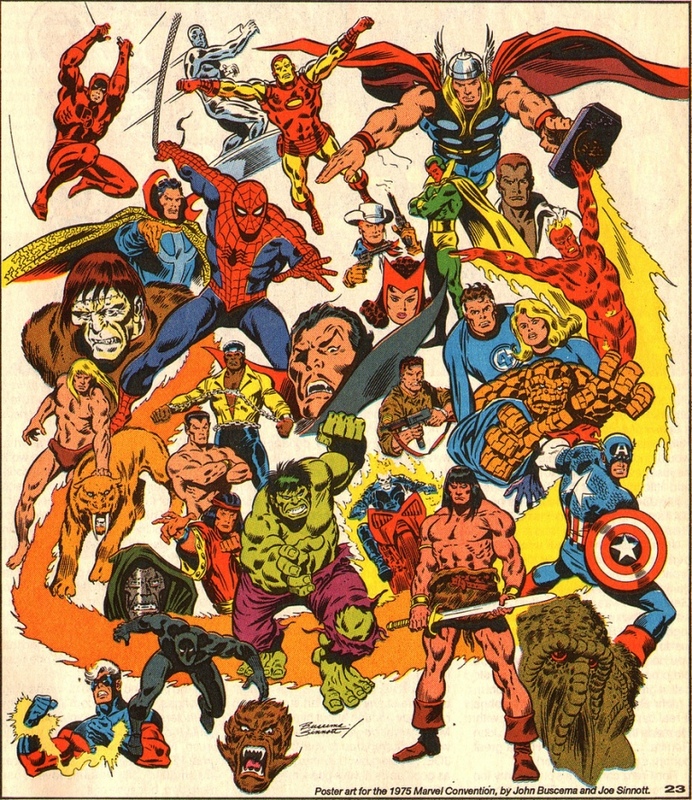 Art by John Buscema and Joe Sinnot. During a live “Secret Wars Kick-Off” press event at New York City’s Midtown Comics, Marvel Editor-in-Chief Axel Alonso and Senior Vice President of Publishing and Executive Editor Tom Brevoort confirmed that the upcoming eight-issue limited series Secret Wars will represent the end of both the Marvel Universe and the Ultimate Universe. “Once we hit Secret Wars #1, there is no Marvel Universe, Ultimate Universe, or any other. It’s all Battleworld,” Brevoort said. This entry was posted in Graphic Examples and tagged comics, James H. Burns by Mike Glyer. Bookmark the permalink. As if DC’s “New 52” wasn’t bad enough. [sigh] The Stan Lee-styled “House of Ideas” is not supposed to play Follow The Leader. What would Frederico Fellini (whose liking for Marvel Mr. Lee always Goshwow!ed about) have to say about this? That interior quotation sums up what will be the loudest fan reaction pretty well. Me? I miss Classics Illustrated. If Jack Kirby were alive today, he would express disappointment — as he did often during his life — that people were still rehashing and tinkering with old characters he and Stan worked on fifty years ago instead of creating their own new creations. The fault for this lies with corporations who want to monetize the properties they already own rather than devote any effort to promoting and selling new concepts they would have to share with the creators. And since those corporations have all the money, that’s where the talent is forced to go. On the internet, no one can hear me belch.